 As its name suggests, Northumberland Learning Connection is about making connections: bringing together subject matter experts and our local community to spark curiosity and encourage questions. Our great speakers have the experience and insights to make us think, help us understand, and leave us eager for more! NLC’s programs feature geopolitics, history, literature, the physical environment, philosophy, the arts, and science and technology. We arrive at “aha” moments by examining fascinating topics from a wide variety of perspectives. View our Past Programs here. We offer two programs per year, one in April-May and one in October-November. They run for 5-6 consecutive weeks from 7:30 - 9:30 PM on Thursday evenings at the Columbus Centre in Cobourg, and on Friday mornings (usually) from 10 AM - noon at the Port Hope Library on Queen Street. NLC is a registered charity. Your donations are always appreciated, and can be made on the Tickets page - scroll down to the final item on the ticket selection list - or by contacting Susan Snider at susan@connectnlc.ca. #80522 3005 RR0001. Learn how to support NLC here. NLC is governed by a volunteer Board of Directors who each serve for a renewable three-year term. Board members are committed to playing an active role in supporting the delivery of an exceptional interdisciplinary learning program in Northumberland County. They bring wide-ranging experience from academia, the arts, sciences, and business to oversee the organization’s strategy and activities. Board members work with volunteers on committees including Program, Marketing, Fundraising and Logistics. We are always interested in speaking with people who are seeking active involvement and can contribute needed skills as a Board member or a volunteer. Please contact NLC's Administrator Kate Gordon at kate@connectnlc.ca to find out about existing openings. Wayne is a Senior Wealth Advisor at Assante Capital and has several offices in Ontario and Quebec. Prior to studying art history, he graduated with a B. Comm. from Concordia. 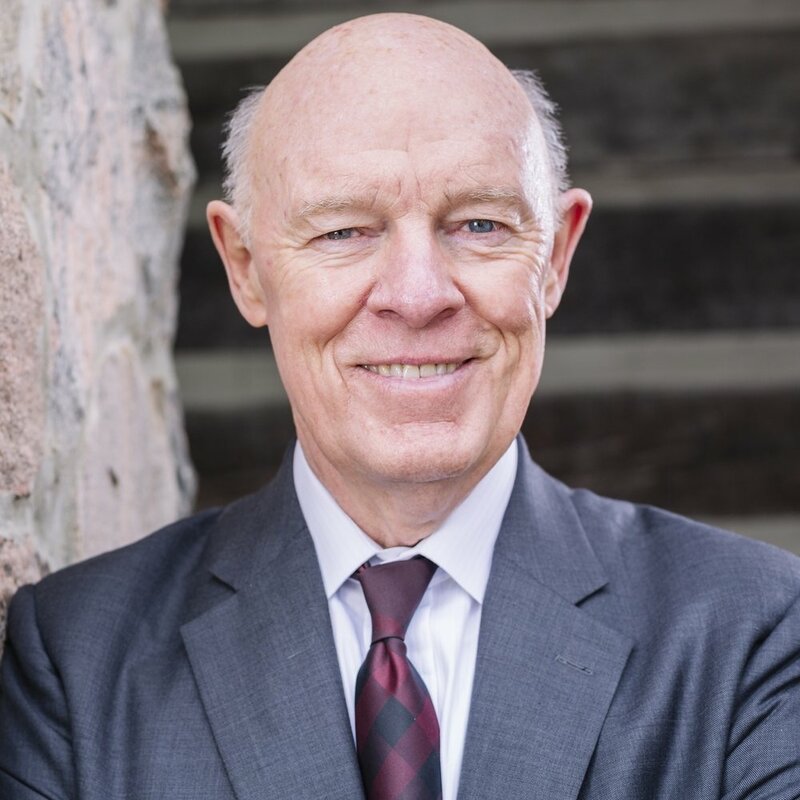 After years of IT consulting for corporate and government clients in North America and Europe, he began his financial planning business. Wayne hosts garden tours at his Port Hope home, Lilac Hollow, to support various charities. Peter is a Cobourg native who taught History and English at the secondary level before earning a Masters degree from Queens and becoming Principal of Cobourg Collegiate West. Since “retiring” in 1996, Peter has served as the Mayor of Cobourg from 2000-2010, chair of both the Cobourg YMCA and Rotary Club. and campaign chair for the Northumberland United Way. Jan Hill grew up in Ontario and earned an Honours degree in Political Science and Economics from Queens University. After a 45-year career spent mainly in Europe and Asia, she settled in Port Hope in 2012. Having served on numerous committees and boards since moving to Northumberland County, Jan is honoured to join a dynamic organization that brings an excellent series of informative subjects to the community — a program that has been a major contributor to her own integration. Sarah’s career was spent with Sotheby’s and as Executive Director of the Textile Museum of Canada and the Ontario Association of Landscape Architects. Her volunteer board experience includes The National Ballet School Foundation and the Canadian Society of Decorative Arts. Sarah is active locally with Victoria Hall Volunteers, Cobourg Horticultural Society and the St. John Ambulance Therapy dog program. Christine had a nursing career in the UK and Canada including a faculty appointment at McMaster University where she worked as a Nurse Practitioner and educator. More recent work has been in the community health field in Toronto. Her volunteer work includes the Toronto East General Hospital Foundation, The Scott Mission and parent-teacher associations. An enthusiastic gardener and lover of books, she and her husband relocated to Port Hope in 2016. Elizabeth divides her time between Northumberland County and Toronto, and is currently enjoying a “soft” retirement from a busy career in strategic communications. A board member since 2013, Elizabeth has taken on the role of NLC webmaster and is enjoying the challenge of making the website and ticketing system engaging and user friendly. Travelling and having fun with grandchildren round out her schedule. As a recently retired principal, Christine divides her time exploring the geomorphology of Northumberland County and the urban landscapes of Western Canada. She graduated with a B.Sc. in physical geography and a M.Ed. from the University of Toronto. Christine is Vice-President of the Canadian Federation of University Women-Northumberland and a volunteer with the St. Vincent de Paul Society in Cobourg. Mary was a senior consultant in Toronto specializing in strategic effectiveness. She holds an honours BA in English Language and Literature from the University of Toronto and studied for many years at the Royal Conservatory of Music as a voice student and Master Class demonstrator. Since moving to Northumberland County, she is able spend more time on her two passions – gardening and singing. Susan settled in Port Hope in 2014, the last of twenty-one moves. She has lived in Yugoslavia, Barbados, Hungary, Belgium and Croatia and Ottawa. A teacher by profession, Susan’s multi-faceted background extends far beyond the classroom. She has experience in a variety of business venues, including business owner, public relations, and writer, trainer, tester and analyst in IT environments. Karin is an internationally recognized radio documentary maker with a long and varied career. Trained as a lawyer, she has produced documentaries on subjects as varied as post-conflict resolution in Mozambique and victim rights, to opera in the English countryside. Karin received two United Nations media awards for her work out of Sierra Leone and for her documentary on dealing with Dementia in Denmark. Our Program Committee is made up of Board members and volunteers. View the names and faces of the current Program Committee members here. Kate holds a BSc in Business Administration & Accounting, and has a background providing support for a variety of public and charitable institutions. She has had a lifelong passion for music, and can be found on summer evenings, with bagpipes, piping down the sun. Joanne had the vision and energy to create the Northumberland Learning Connection in 2006, supported by a group of people passionate about lifelong learning. She holds an honours B.A. in Art History from the University of Toronto. 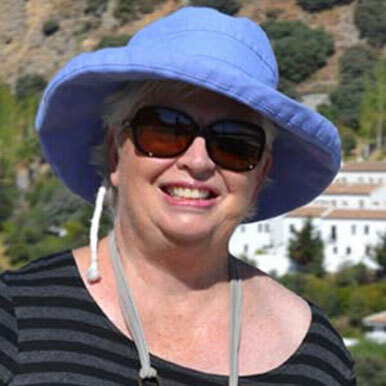 A chorister and volunteer business manager with the Orpheus Choir of Toronto for many years, Joanne’s current preferred volunteer role is that of babysitter for her granddaughters in Holland and Toronto.